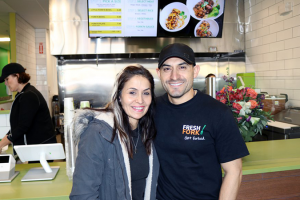 Carmina and Martin Matallanes have opened a new restaurant in Ceres this month to offer a healthier choice of dining. Carmina and Martin Matallanes have opened a new restaurant in Ceres to offer a healthier choice of dining. (southwest corner of Service and Mitchell), Ceres. and 11 a.m. to 7 p.m. Saturdays and Sundays.